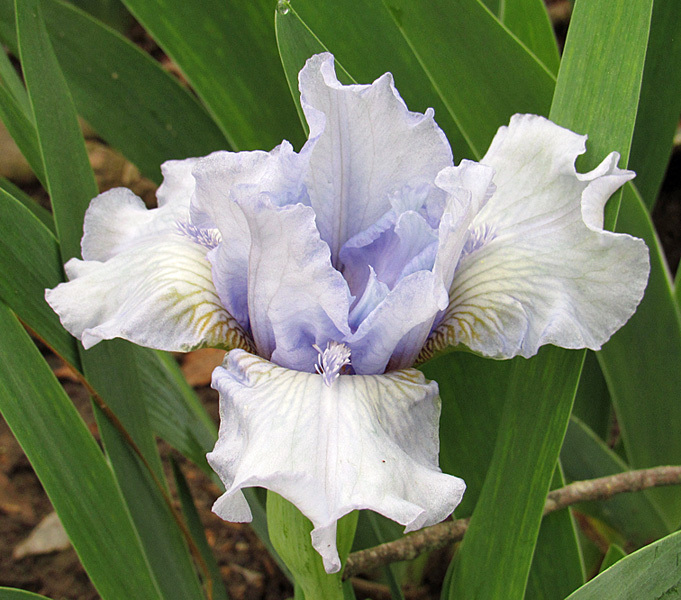 'Misty Shores' (Denise Stewart, R. 2013) Seedling #906-10. MDB, 8 (20 cm). Early bloom. Standards light white-blue, ruffled; falls white-blue, plicata pattern around beard; beards lavender, orange in throat. 'Midsummer Night's Dream' X unknown. Snowpeak 2014.